A warm aloha to all of you! The Pacific Region had much to be thankful for during this past autumn season. The Lord’s harvest was very bountiful for the sisters of the Pacific Region. In South Korea, for the very first time MCCW hosted a retreat in Asia! This first retreat in Asia was directly in step with Pope Francis intentions for the month of November, “That Christians in Asia, bearing witness to the Gospel in word and deed, may promote dialogue, peace, and mutual understanding, especially with those of other religions.” I had the pleasure to attend this retreat which was held at Our Lady of Perpetual Help in South Korea during the first weekend in November. 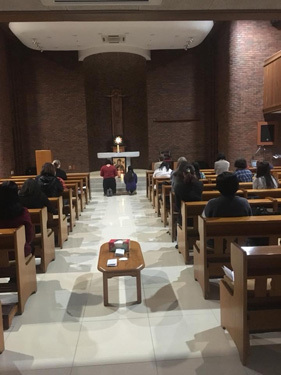 Over 30 women attending from 6 installations in the region spent the weekend “Surrendering to the Holy Spirit” through daily mass, adoration, reconciliation, Mother’s Prayers, Stations of the Cross, Pietra fitness and presentation talks focused on the Holy Spirit. Katie Taylor, an active duty Airforce Airman was the retreat coordinator for this splendid faith filled weekend. It was a delight to be with all these women experiencing God’s grace, beauty, and love in each of them and witness the Lord transforming lives. 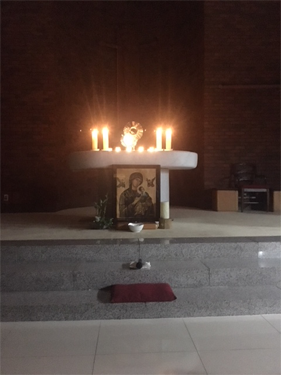 Thanks be to God for this glorious restorative retreat. 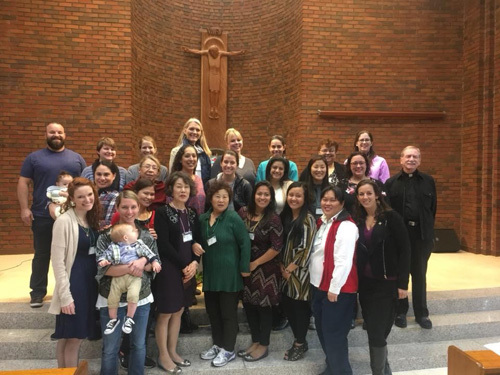 It has been very exciting to see the CWOC groups in the Pacific Region embracing the Encuentro program and offering more ways for ladies to celebrate our faith in Spanish. Over Thanksgiving, I had the pleasure to attend the Joint Base Elmendorf Richardson CWOC group in Alaska. 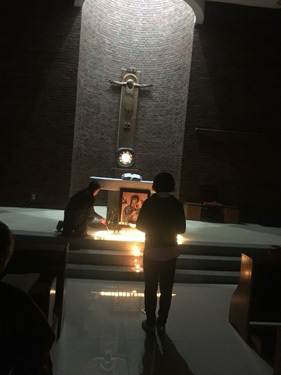 I learned that they are gathering to pray the Rosary in Spanish on a monthly basis. 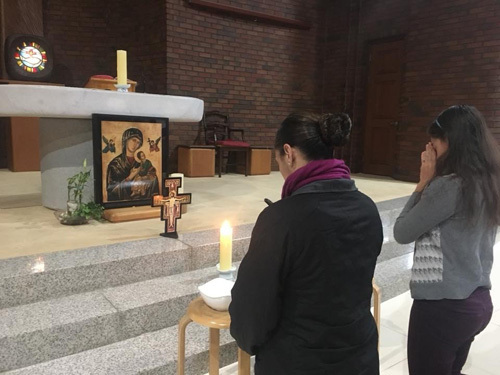 The CWOC group on AMR in Hawaii hosted a Family Las Posadas Advent celebration. Las Posadas is an advent tradition from Mexico and other parts of Latin America. The group also shared information on the Encuentro program. At the start of the new year, Eielson Airforce CWOC in Alaska will be starting a mother prayers group and will have Spanish books available. As the various chapel groups are celebrating the advent season through outreach service programs, festivals, events, and workshops, I encourage you to reach out to a fellow sister, friend, or neighbor and invite them. Please share the invitation with your communities of military spouses. It is always beautiful to watch what our Lord can do with an invitation. I now leave you with an invitation. I invite and encourage all of you to attend MCCW Forum in April. MCCW Forum will be an incredible faith forming, spiritual, fellowship and leadership opportunity that will allow you to return to your families and communities enriched sharing the blessings and fruit of your encounters. Looking forward to seeing you in San Diego at the Pacific Regional Registration Table. Hello and Happy Advent from the Western Region! Happy Advent Greetings!